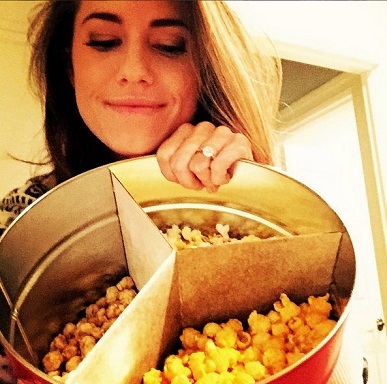 American actress, comedian and star on the HBO comedy-drama series “Girls”, Allison Williams says that she is obsessed with her classic, diamond ring from fiancé American entrepreneur, Ricky Van Veen.The couple got engaged sometime February after dating for three years and got married in a star-studded ranch wedding on September 19. Ring: Platinum with Baguette Side Stones. 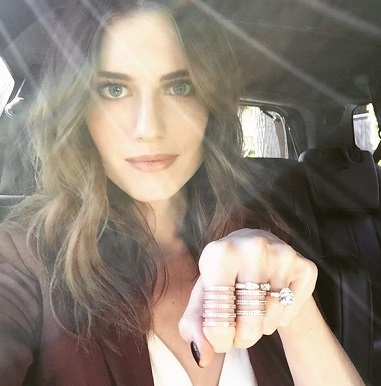 Comment: Like Allison’s red carpet style this ring is simple, elegant and of course classic. While diamond cuts like cushion and oval are hugely popular at the moment, we still love the sparkle from a perfect brilliant cut! Does Victoria Beckham Have 13 Engagement Rings?